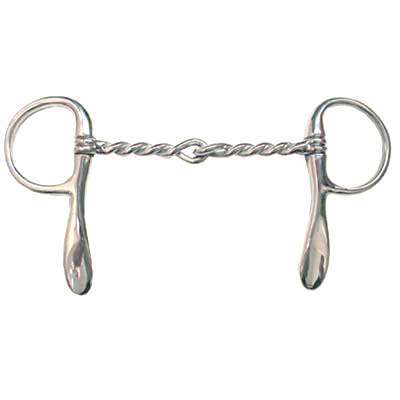 Available in: 5'' Twisted bit increases the pressure on the mouth. Bit is made of Stainless Steel. Half Cheek Twisted Bit with Double Wire Mouth and 2'' Shanks.